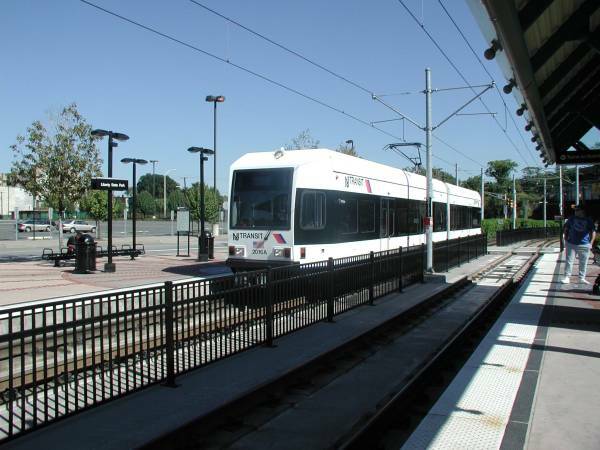 The Hudson-Bergen Light Rail is a new Light Rail line that opened in April of 2000. It connects Bayonne and the east side of Jersey City with the revitalized Exchange Place area and Liberty State Park. The line has since been extended to Newport Center Mall, and then again to Hoboken in 2002. The Bayonne line was extended to 22nd Street in late 2003. In 2005 the line was extended north from Hoboken towards Imperial Harbor. The next extension opened in 2006. It heads north of Imperial harbor and burrows underneath the cliffs towards Tonnelle Ave (US 1/9) in North Bergen. This tunnel is a former railroad tunnel. The tunnel has one "subway" station. Jersey City is also served by PATH Trains.